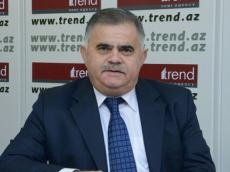 Azerbaijan is one of the safest countries in the world, where security is provided at the highest level, political scientist Arzu Nagiyev told Trend on Wednesday. He noted that Azerbaijan is implementing very important measures to curb the danger that threatens the national and state security of the country. Nagiyev said that the recent events in Ganja have shown that law enforcement agencies fully control the situation in the country. The political scientist noted that the Azerbaijani people expressed disdain for the criminals, adding that at a meeting held yesterday with the participation of the heads of law enforcement agencies, President Ilham Aliyev stressed the exclusive role of law enforcement bodies in suppressing any danger threatening national and state security. “Today, law enforcement bodies together with Azerbaijani citizens take necessary steps within the framework of legal norms to protect their constitutional rights. That is why, having noted this, the head of state stressed that law enforcement bodies of Azerbaijan, within the framework of the law, stopped the actions of certain forces trying to instill fear in the population. With full confidence, we can say that the law enforcement agencies have coped with such a difficult operational situation”, Nagiyev noted. On July 10, at approximately 8 pm (local time, GMT+4), a group of 150-200 people of radical religious orientation attempted to disrupt public order by meeting in the square in front of the Ganja City Executive Power building, the joint statement of the Prosecutor General's Office, the Ministry of Internal Affairs and the State Security Service said earlier.